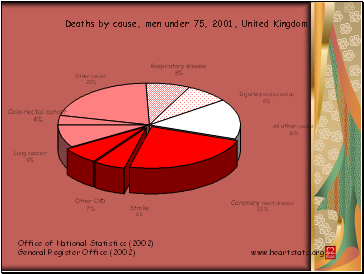 Heart and circulatory disease is the UK's biggest killer. 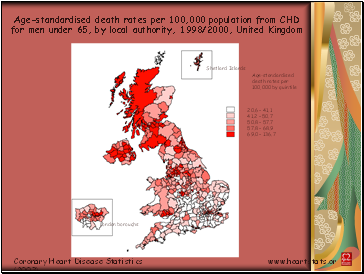 In 2001, cardiovascular disease caused 40% of deaths in the UK, and killed over 245,000 people. 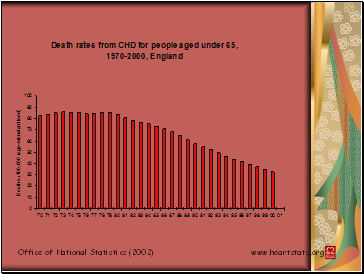 Death rates for heart disease have been falling rapidly in the UK since the late 1970s. 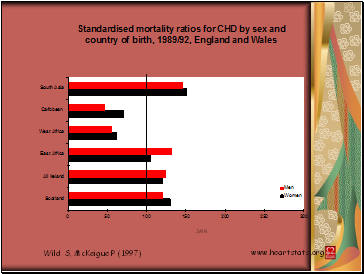 Despite this, death rates from CHD in the UK are still amongst the highest in the world. 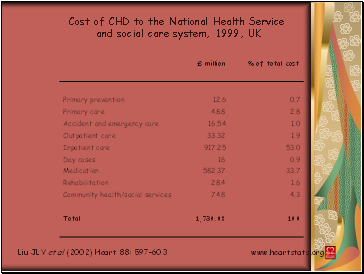 What is coronary heart disease? 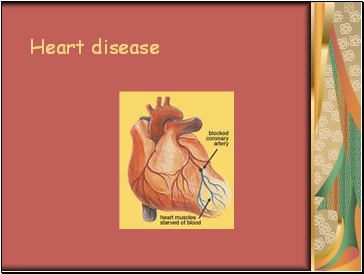 The process of coronary heart disease begins when the coronary arteries become narrowed by a gradual build-up of fatty material within their walls. 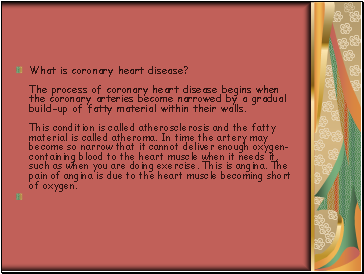 This condition is called atherosclerosis and the fatty material is called atheroma. 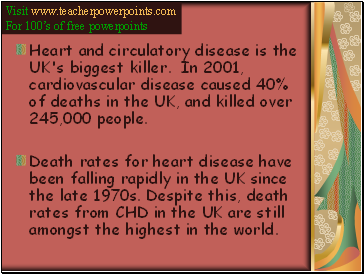 In time the artery may become so narrow that it cannot deliver enough oxygen-containing blood to the heart muscle when it needs it, such as when you are doing exercise. 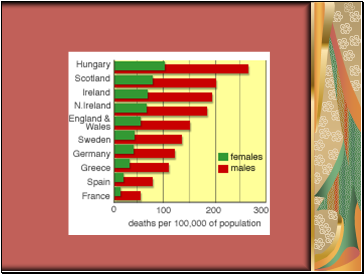 This is angina. 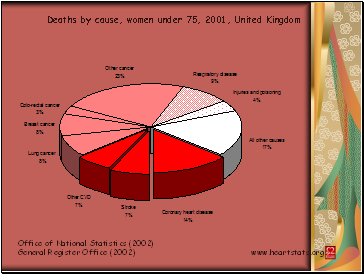 The pain of angina is due to the heart muscle becoming short of oxygen. 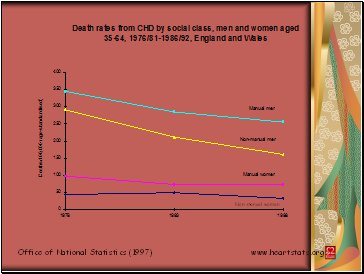 Keeping a healthy weight Remember that losing weight involves both eating healthily and increasing physical activity.